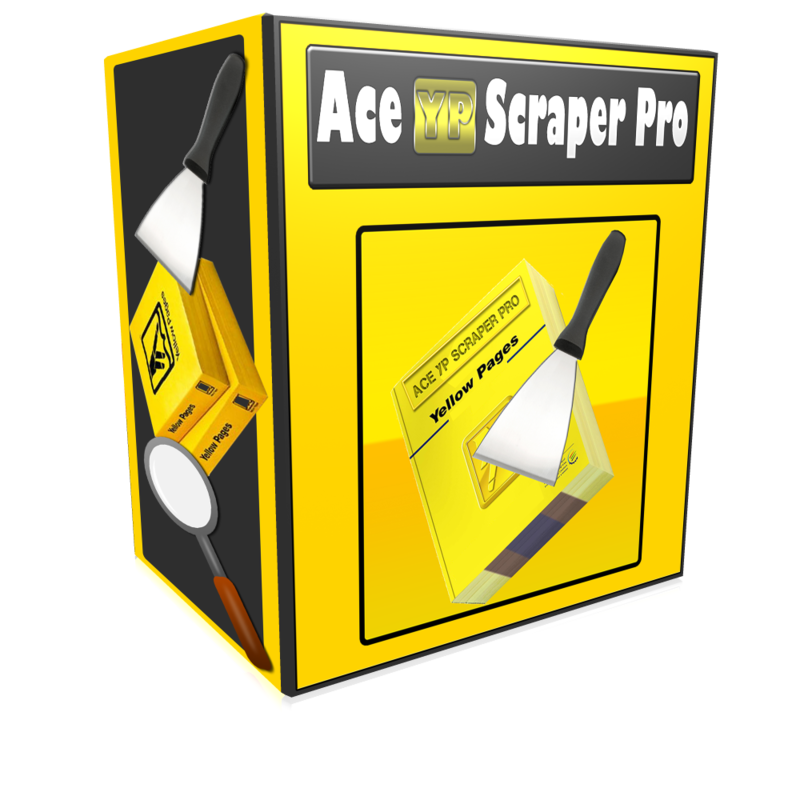 Ace YP Scraper Pro - Yellow Pages Scraper Tool!!! Ace YP Scraper Pro is the "WORLD'S FASTEST YELLOW PAGES SCRAPER" on the market!!! Very light-weight, but yet a very POWERFUL desktop application!!!"" If you're trying to collect leads for Email Marketing, Cold Calling, Direct Mail, Directories, Website Building & More, then this tool is a MUST-HAVE program to have in your arsenal!!! You will be able to literally scrape THOUSANDS of leads from the Yellow Pages within only a matter of a couple minutes!!! It's now easier than ever before to quickly scrape valuable data from Yellow Pages !!! Scrape Gather Yellow Pages URLS!!! Scrape Leads From Yellow Pages!!! Export Final Results To .CSV File!!! The 1st step in the process is to quickly gather up all of the URLS from Yellow Pages after setting the amount of pages you want to gather, the EXACT City/State Location, & the EXACT keywords or the EXACT market that you're trying to target. This 1st module makes it VERY EASY to gather the necessary pages from Yellow Pages!!! 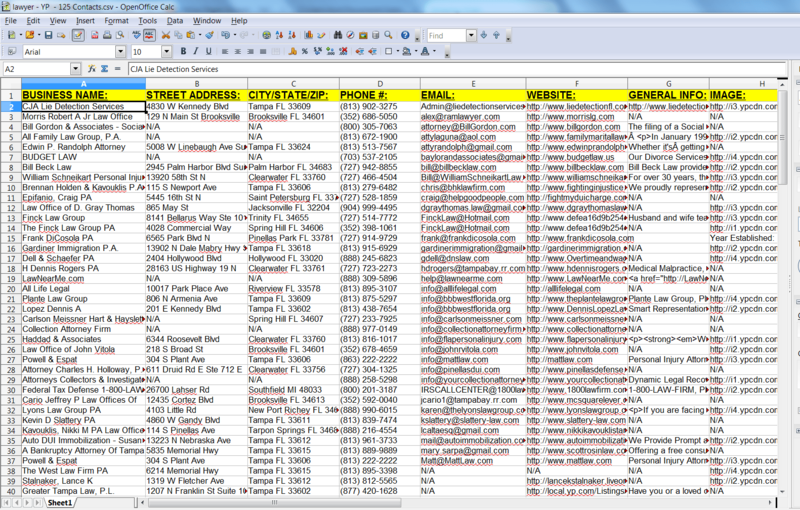 It is SUPER EASY & SUPER FAST, scraping leads from Yellow Pages using Ace YP Scraper Pro!!! After gathering the Pages from Yellow Pages, in step 2 we just simply scrape ALL of the leads from those pages!!! You can quickly send a single email to any prospect on your leads list!!! Just right-click on the "Scraped Leads Module" & select the "Send Single Email" option & this form will pop up for you to send an email INSTANTLY!!! You can quickly send MASS EMAILS to ALL prospects on your leads list!!! 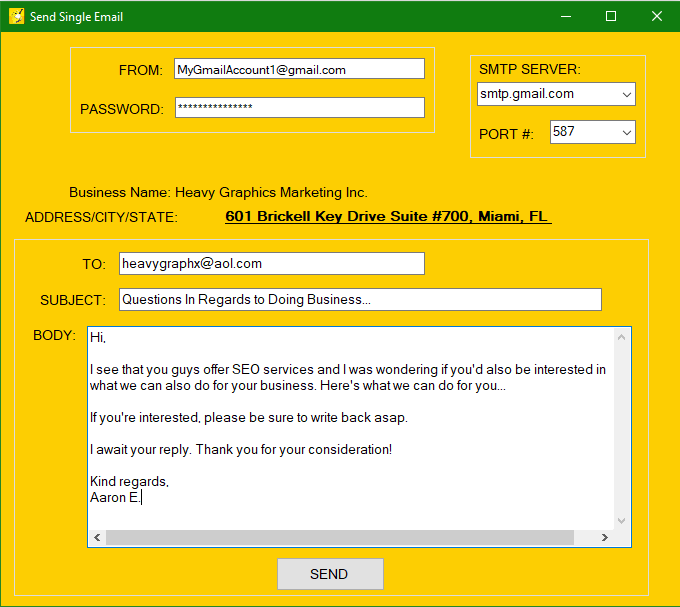 Just right-click on the "Scraped Leads Module" & select the "MASS EMAIL" option & this form will pop up for you to send out a MASS message to everyone INSTANTLY!!! So are you serious about your marketing? Are you serious about collecting highly targeted leads from Yellow Pages? Then this software is DEFINITELY for you!!! Get your copy of ACE YP SCRAPER PRO right now!!! *NOTE* Software can be ran on a Macintosh iOS using virtualization software like Parallels, Boot Camp, etc., etc.. INSTANT DOWNLOAD DELIVERY VIA EMAIL!!! Scrape the Yellow Pages FASTER Than Ever Before!!! Buy Your Instant Download Now!! !